The four steps to delivering digital campaigns on time, and to budget. Digital marketing roles are becoming more and more demanding, with more channels to manage. 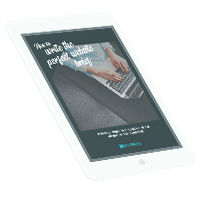 This guide was written with 10 years' experience in running multiple, concurrent campaigns. The demands on digital marketing managers are many – multiple channels to manage, multiple campaigns to juggle, multiple stakeholders to please, and a field that constantly changes. Staying on top of it all is an artform. 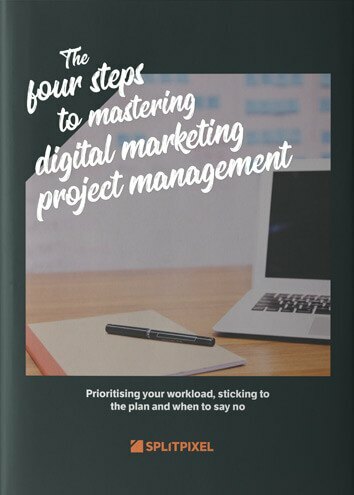 We’ve put together a guide to mastering digital project management – common challenges, and the four key skills you need to solve them. Managing multiple campaigns at the same time. Planning out marketing activity timescales effectively, and how to prioritise. Staying on task and to schedule, keeping scope creep at bay. Hi! We’re Splitpixel Creative, a digital agency with 10 years of experience in designing and building lead generation-centred websites, as well as providing a range of digital marketing services, including SEO, PPC and content marketing. 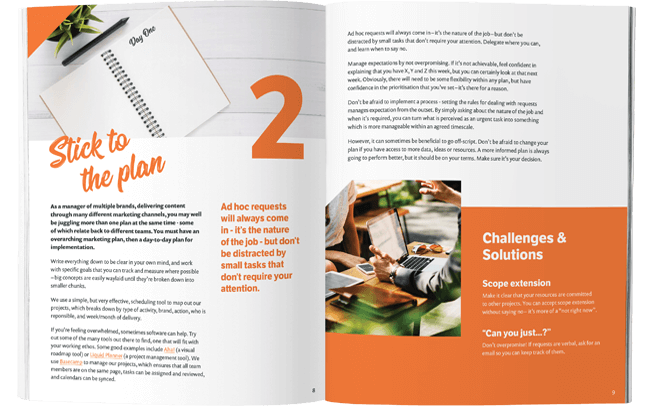 We’ve worked with a huge array of clients over the years – from small startups to massive blue chip companies, and everyone in between – and it’s this wide-ranging experience that has informed this guide. Full-service digital marketing and web development agency. Results and analysis-driven approach to improving leads and conversions. Web designers and content creators – we have the creative and technical skills to deliver all areas of a digital marketing strategy. It's just 14 pages long – not too long, not too short. We try and dig deep to give you what you need, without rambling on. Put together by project managers from our marketing and web teams, it's informed by our years of experience delivering digital projects. Splitpixel has captured the essence of our new branding and delivered it not just to a market-leading standard, but also on time! I wouldn’t underestimate the complexity of simplifying our business into one site and so it is a wonderful achievement. Thank you again Splitpixel for the work you have put in to make this happen – as it has truly allowed us to live our new branding in the digital space. Excellent work! Jamie MacKenzie, Director of Marketing, Sodexo. Our web project for Sodexo spanned over six months, involved every discipline in the studio, and balanced the needs of multiple stakeholders. We delivered everything on time, and to budget.